5 Ways to Light Up Your Staircase - Stair Star Inc. When walking up and down the stairs, it’s important that you can see where you are going. Stairs can be dangerous in dark conditions, causing you to trip and fall down the stairs. That is why you should have lights in and around the staircase so everyone who uses them can safely go up and down the stairs. No one says you have to have just standard lights on the wall or a pendant hanging from the ceiling. 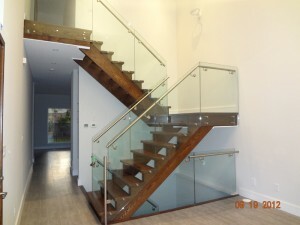 There are many unique ways to illuminate the staircase to fit almost any design on the market. 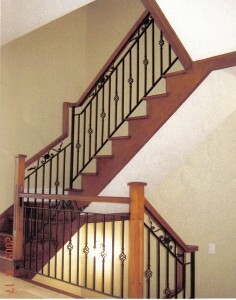 If you’re looking for different ways to brighten up your staircase, consider some of the following ideas below. Under-step lighting is a cool way to add lights to your staircase. You can make it quite subtle with soft lighting, or bold and unique with colour strip lights. With this type of lighting, however, it’s best to let a professional help you with the installation. 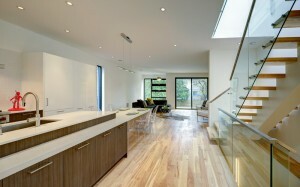 The under-step lighting is like a recessed light for your stairs. It’s hidden away and barely visible so that all you see is the brightness from the bulb. Quite often, you’ll see under-step lighting along the edge of the step towards the wall, or along the tread. Although we said in the beginning that we’re looking at unique lights for the staircases (and wall lights aren’t necessarily unique), you can find many styles of lights that are very different from the standard wall sconce. Browse through the different lighting options to see what unique light fixture you could find to illuminate the stairwell. Still attached to the wall, these types of lights are installed close to the floor of the staircase. They brighten up the step right below them, which offer a unique glow to the staircase. You may need multiple of these lights installed, but the end result will be worth it. If you have an open staircase, then these lights are for you. Make your lights virtually invisible by installing strip lights under the tread of the staircase. When off, you won’t even notice that they are there. However, flick on the lights and not only will they illuminate the stairs, but they also cast a light down below. You’ll get a neat light feature for the space under the staircase. Although this would require a different type of material for the stairs, you can make your staircase look like it’s glowing. The material would need to be semi-transparent for this to work. You would install the light behind the stairs, so it shines through them. Because each step will look different, having glowing stairs is a unique and modern look. Try testing out some of these lighting options when thinking about how to brighten up your staircase. 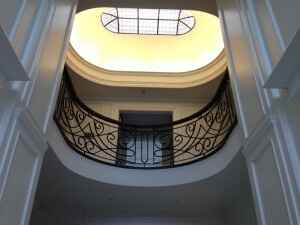 Let Stairstar help you decide the best lighting fixtures for your staircase.